As a priest, archbishop, and president of the US bishops' conference, Cardinal Joseph Bernardin lived a ministry marked by thoughtfulness, compassion, and conviction. Relying on interviews with the cardinal's assistants, friends, and family members, as well as on some previously unavailable archival material, Steven P. Millies explores Bernardin's controversial "seamless garment" approach to life issues, his founding of the Catholic Common Ground Initiative, the disturbing abuse allegations against him that were later recanted, and his experience of cancer that prompted him to write the bestselling book The Gift of Peace and that ultimately took his life. Millies offers a fresh new portrait of one of the most remarkable Catholic leaders of the twentieth century. Steven P. Millies is associate professor of political science at the University of South Carolina Aiken in Aiken, SC. His articles about the Catholic Church's relationship with American politics have appeared in America, the National Catholic Reporter, and Commonweal. He was born and raised in the Archdiocese of Chicago. Millies does an excellent job of developing some of the significant challenges and changes in Bernardin's life. 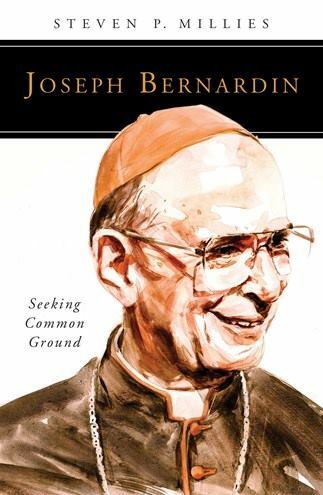 Steven Millies, in his book Joseph Bernardin: Seeking Common Ground, offers us a carefully researched and realistic portrait of Cardinal Joseph Bernardin. On every page, I could recognize the bishop I knew and worked with and the man I could count on as a reliable friend. In this biography, he emerges as he truly was-a person of deep humanity, a steadfast disciple of Jesus, and a wise and generous pastor. Millies honestly identifies Joseph Bernardin's struggles but, even more, he names the striking power of amazing grace that marked his ministry and life among us. Joseph Bernardin was one of the most influential Catholic leaders of the second half of the twentieth century. His pastoral, administrative and teaching ability was clearly evident as he served the Church through some extraordinary times. In this book, Steven Millies informs us of the many issues of Church life and societal complexities the Cardinal addressed and impacted through his forty-four years as a priest and thirty years as a bishop. He was truly a man of peace. From my own perspective, Steven captured well the persona of this wise and gentle leader beloved by so, so many. Joseph Louis Bernardin was simply one of the preeminent bishops of the past century. He achieved that privileged status through his always prudent and authentic understanding and pursuit of the Church's tradition and her potential. While he enjoyed the confidence of the USA Bishops because of repeated situations in the post-Conciliar era wherein he displayed an extraordinary capacity to bring respected consensus to difficult circumstances, he eventually suffered at the hands of those who chose to pursue an ecclesial vision of intransigence and reaction. He never lost the common touch and this made him both an approachable pastor and a credible church guide. This new biography gives us an excellent perspective on how this extraordinary man of faith and pastoral skill developed those virtues throughout his life.